Ministers said it was "disappointing" and they would seek to overturn the move when the bill returns to the House of Commons. 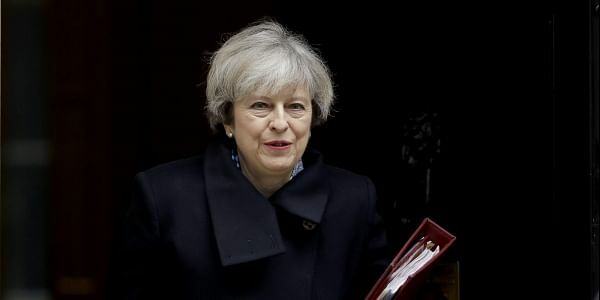 LONDON: British Prime Minister Theresa May has suffered a second Brexit bill defeat in the House of Lords as peers backed, by 366 votes to 268, calls for a "meaningful" parliamentary vote on the final terms of withdrawal. After a three-hour debate yesterday, for the second time in a week, Lords amended the legislation that will authorise May to notify the EU of the UK's intention to leave and pave the way for official Brexit talks to begin. Ministers said it was "disappointing" and they would seek to overturn the move when the bill returns to the House of Commons. On March 1, May suffered her first parliamentary defeat over Brexit after the House of Lords voted in favour of an amendment to guarantee the rights of EU citizens in the UK after the country leaves the bloc. The latest defeat has dashed May's hopes, who was confident of passage of the bill in time to meet her deadline of triggering Article 50 of the EU's Lisbon Treaty, which begins the two-year withdrawal process, by the end of March. The turnout in the Lords for the vote was the largest since 1831, according to Parliament's website.